One of the things we are most passionate about is shallow-water, light-tackle angling. 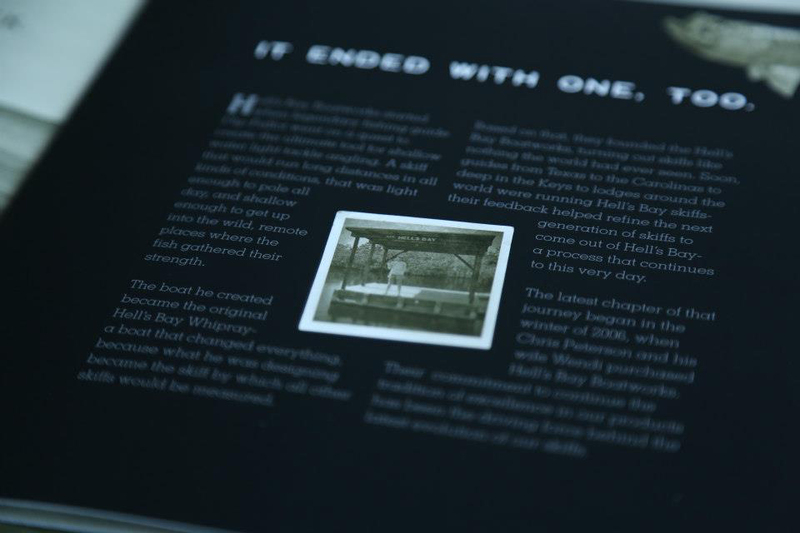 So, when we got a call from Hell’s Bay Boatworks, we saw an opportunity to communicate a deeper emotional connection with their core audience—to show those shared values, the things we all agree on and believe in. We are tremendously proud of the work we have done with the team at Hell’s Bay Boatworks. Over the last five years, our Hell’s Bay work has been awarded “Best Marketing Campaign” in the entire boating industry three times by the National Marine Manufacturers Association. We have collaborated with Hell’s Bay on every facet of their brand, from event marketing to designing custom branded merchandise. We even helped create an online video series, “Skiff Stories,” featuring individual episodes that highlight the passion of various owners and the environments they explore.